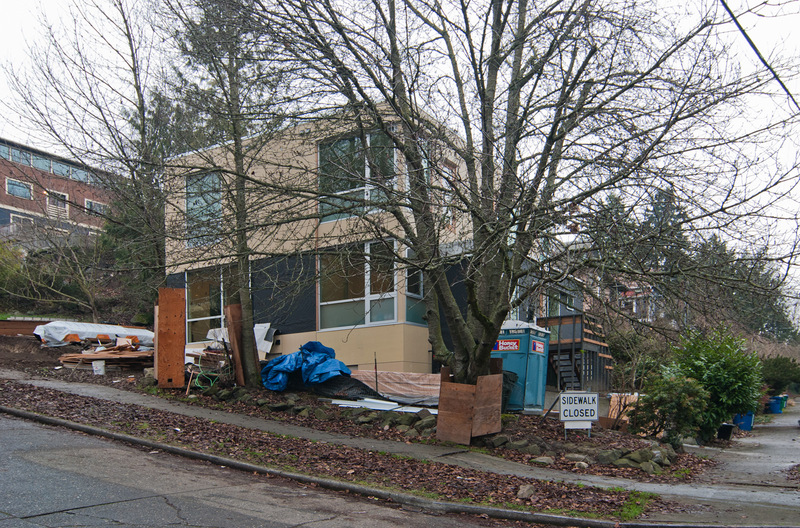 The Desai Residence, a jewel box of a home perched on the south slope of Queen Anne, is in the final stages of design development. 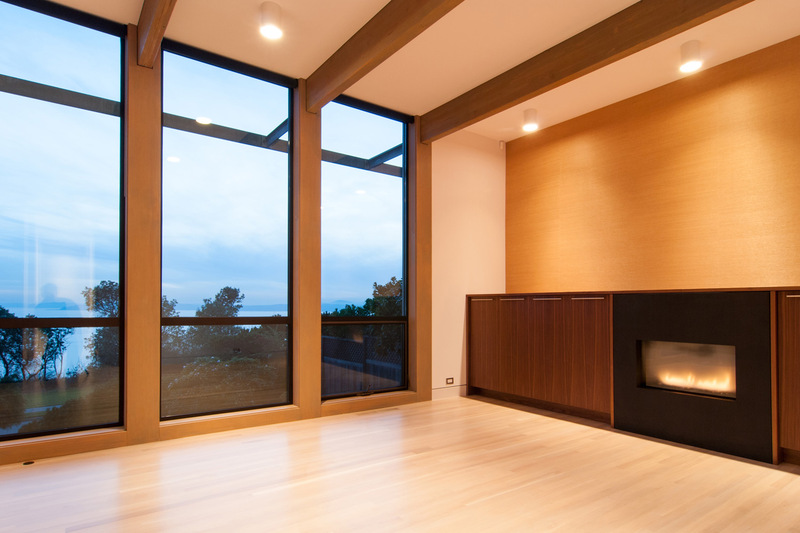 The structure uses a geometry of extruded shearwalls to keep the interior spaces open and light. 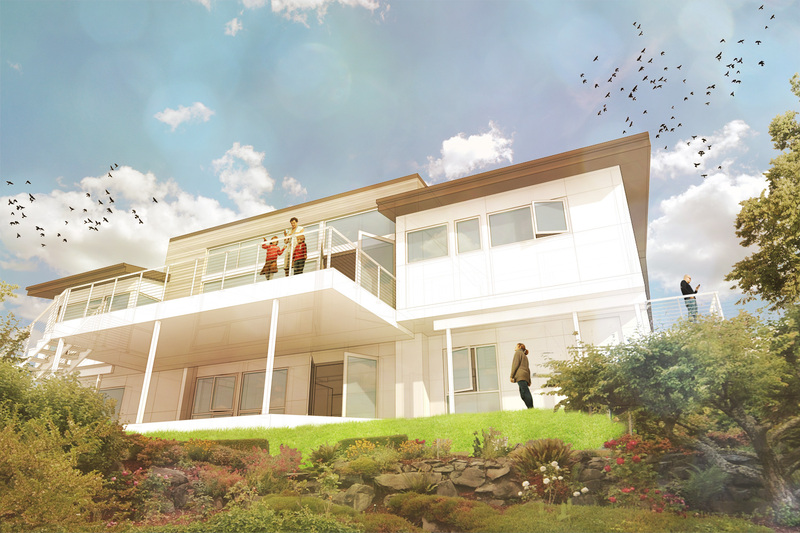 Lake Washington Residence went in for permit just before the Thanksgiving holiday and we’re eager to start the build on this gorgeous lakefront property in early 2014. 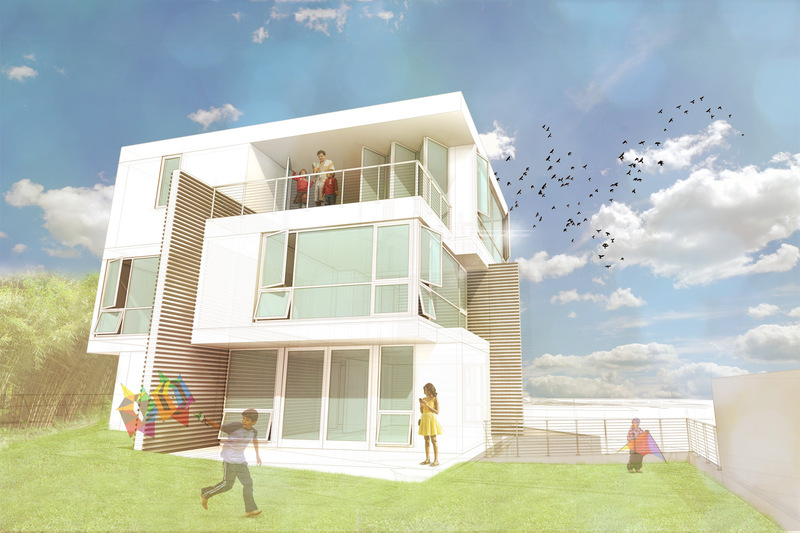 The floor plan optimizes the footprint of an existing foundation while organizing the functions into distinct volumes. 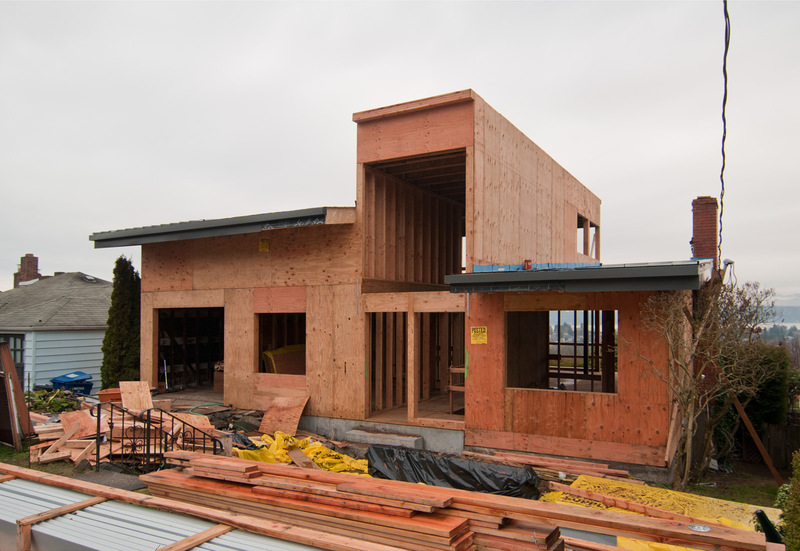 The Home in the Woods, located near Woodinville wine country is ramping up to permit documents. 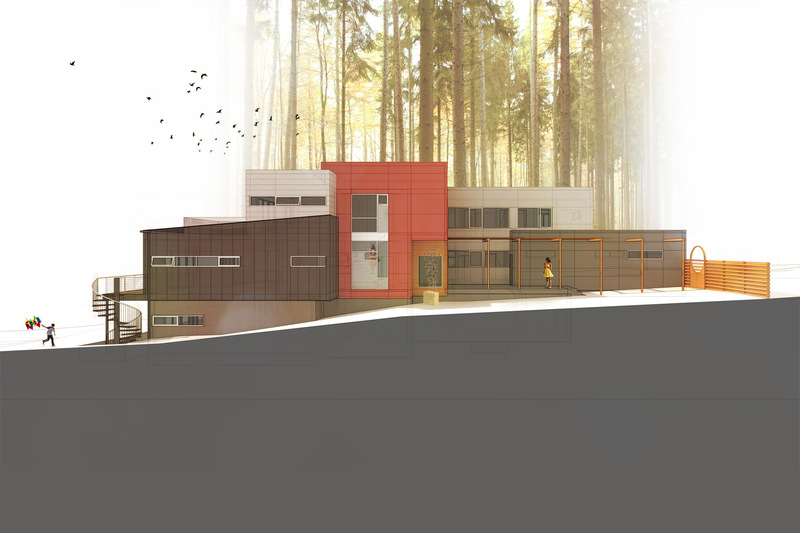 A series of modern glass and shed roof structures will neatly nestle into a densely wooded hillside. 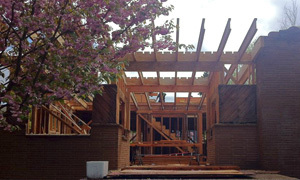 Madison Park Remodel is making significant progress. The siding is well under way and the interior finishes are rolling full speed ahead. Innis Arden North Remodel broke ground in November and with demo complete, the project is well into framing. 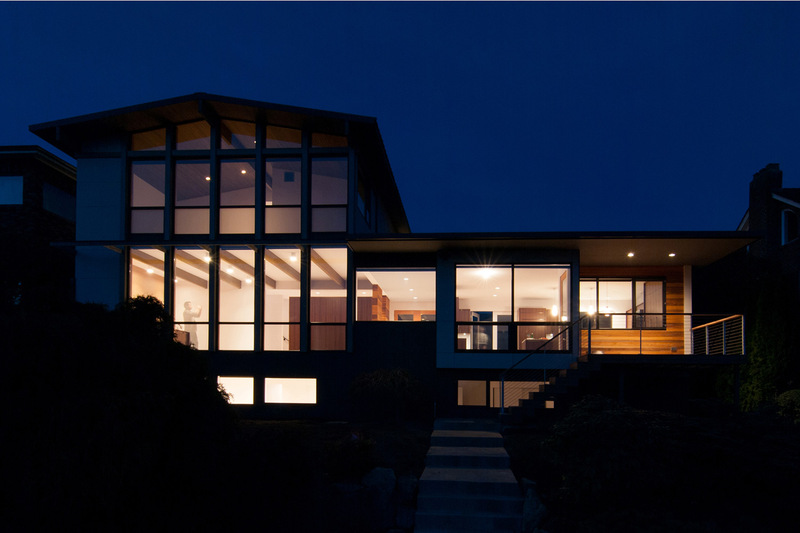 The Bell Residence on Beacon Hill takes an older home, pushes it up, gives it a new wrapper, and takes advantage of some awesome views of the Cascades, Mount Rainier, and Lake Washington. The BUILDbot joins the ranks of Team BUILD and gets in on the modeling action. You can read the full report here. ARCADE Magazine has been working hard chipping away at their archive of online articles. Going through 30 years of issues takes some time, but this fall the issue BUILD guest edited back in 2010 is up for your reading pleasure. Check it out. 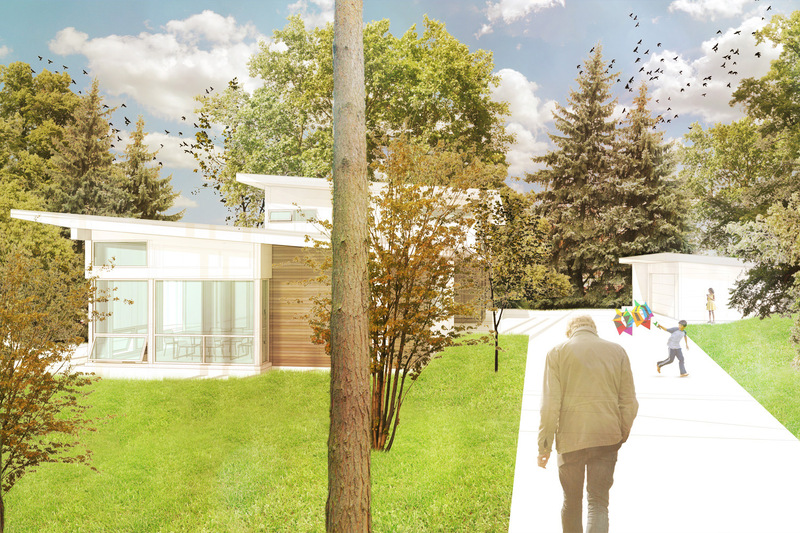 Last year, we interviewed Chicago architect John Ronan, and he recently came through town to speak at UW for their fall lecture series. 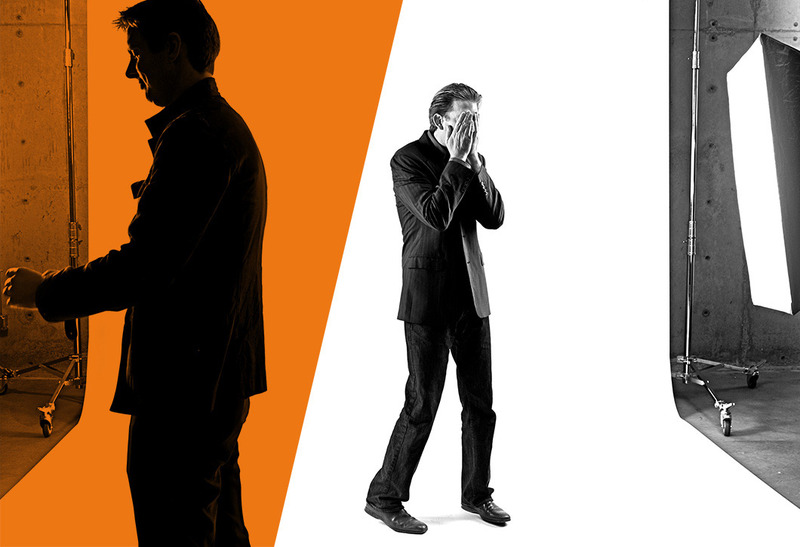 If you missed it, you’re in luck: they’re now being recorded and archived online. 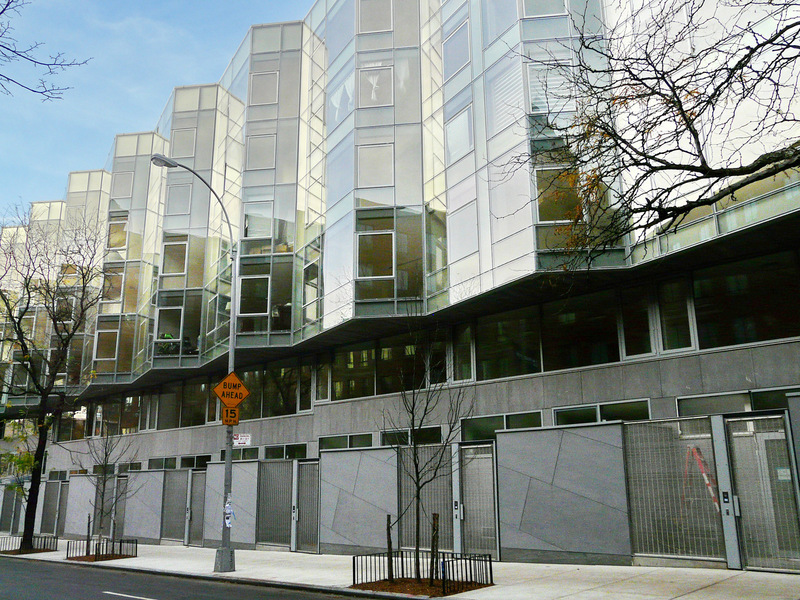 BUILD recently spent some time catching up with NYC, in so doing we interviewed Laurie Hawkinson of Smith-Miller Hawkinson and the partners of AvroKO. 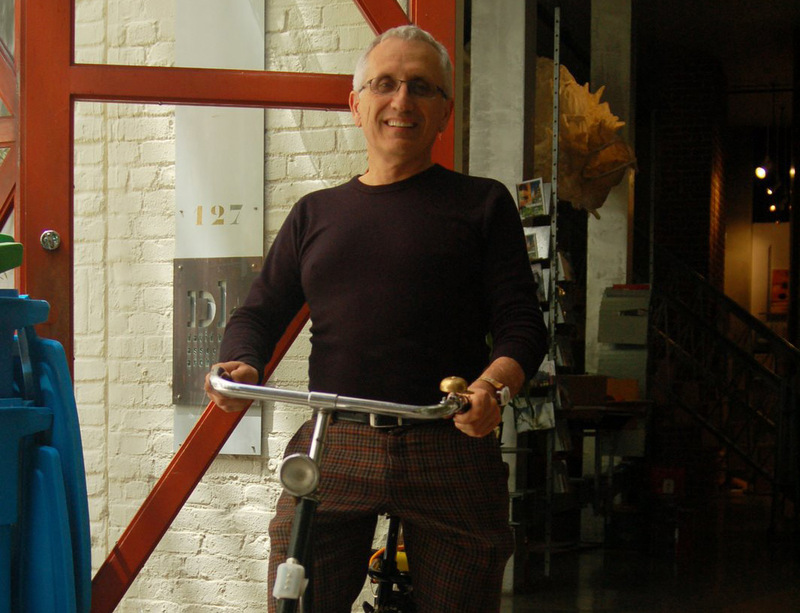 Also in the works is our interview with San Francisco based architect David Baker. All three interviews will be showing up in ARCADE magazine, so stay tuned. 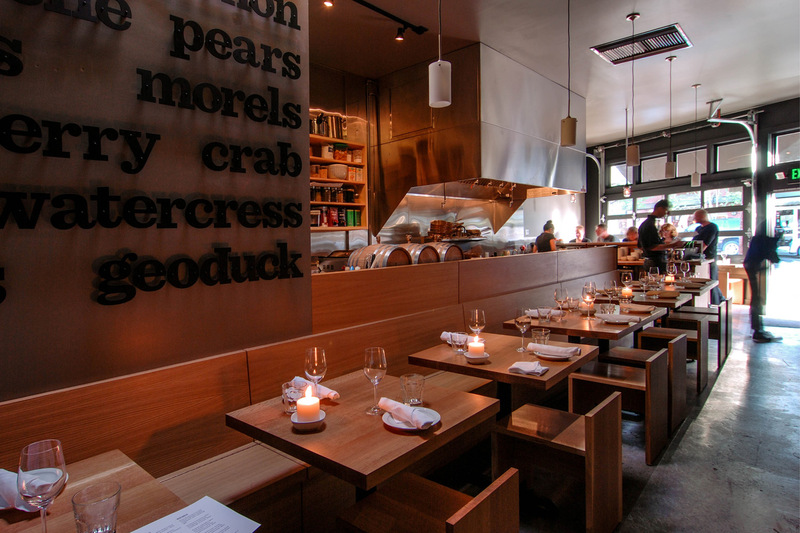 One of the restaurants to emerge on Seattle’s ever-growing dining scene this year was Ethan Stowell’s mkt. We provided design services for this cozy neighborhood spot, and are thrilled to have another fantastic restaurant within striking distance of the BUILD World Headquarters. 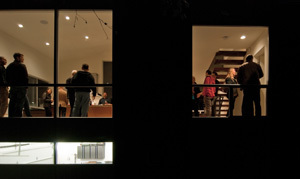 We celebrated the completion of the Queen Anne Residence with a cozy open house on one of the stormiest days of the year. 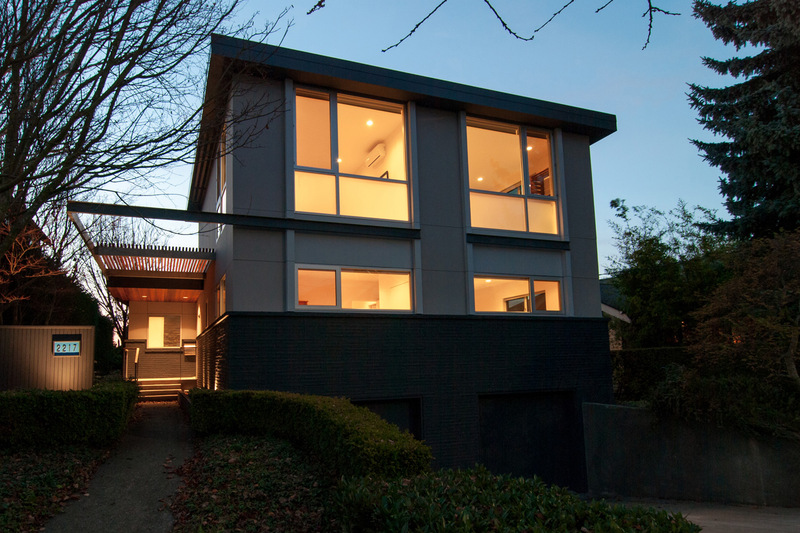 The Magnolia Residence open house slipped in right before Thanksgiving on a gorgeous, foggy Seattle evening. 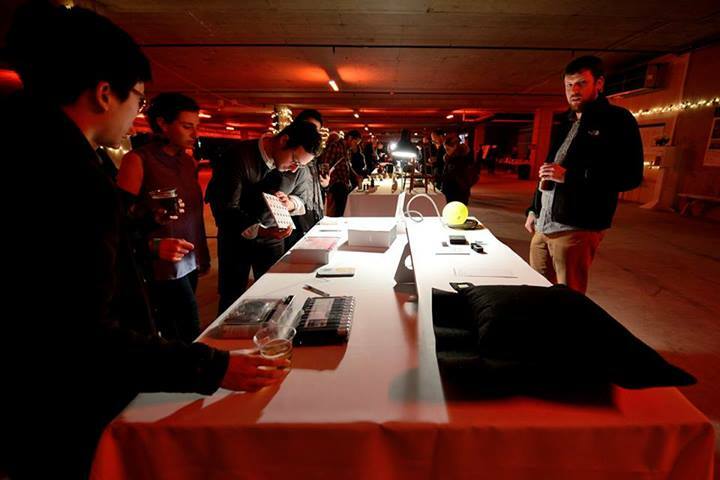 ARCADE Magazine and IDSA co-hosted the year-end event, Collective Works, to wrap up 2013 with good tidings and good design. Complete with silent auction and photo booth. 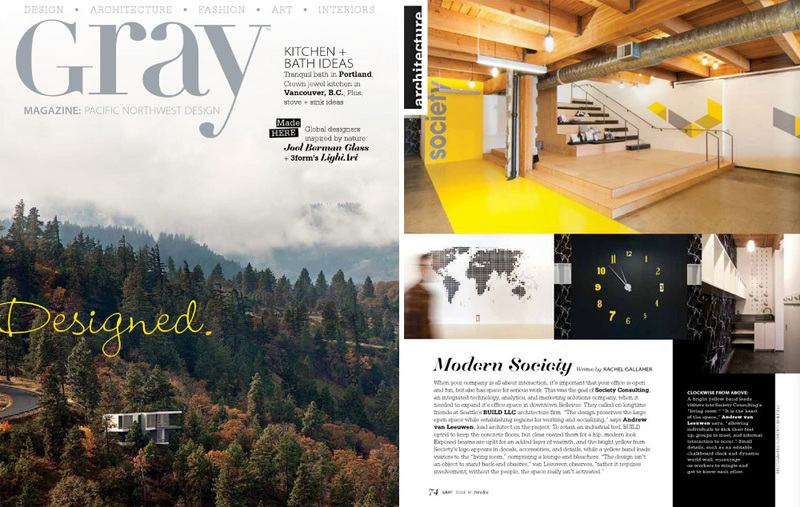 The Society Consulting office remodel gets featured in the Fall/Winter issue of Gray Magazine. 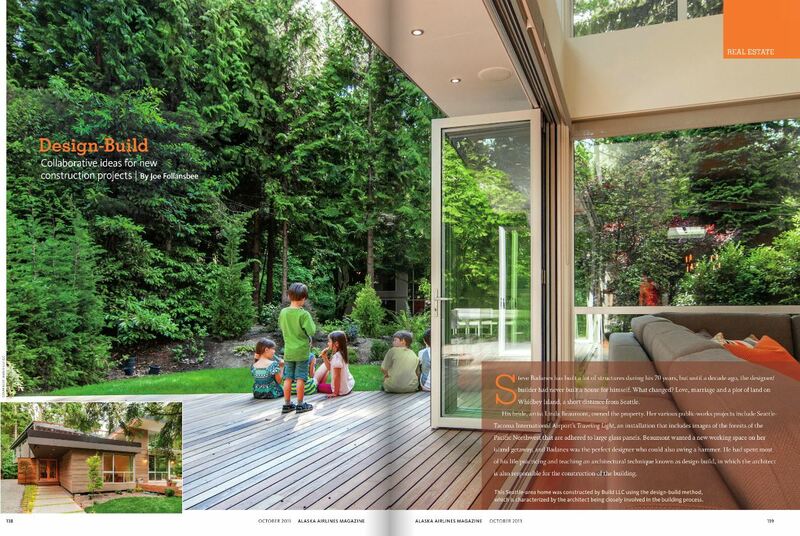 Beaux-Arts Village Residence graces the pages of Alaska Airlines Magazine. Thanks for all of the blogging in 2013 and cheers to 2014! Really like the 2nd image! Congrats on the mkt space. I had dinner there the other night and it’s a cozy and modern. The food was also exceptional. Happy New Year!